Nassim Haramein is my kind of scientist and I believe will be one of the most influential voices in the field of physics as we move forward. What I love about Nassim is that he is not caught up in the dogma of Academia, he’s not trying to fit reality into a model that doesn’t fit. He’s willing to admit for example that our current understanding of the sun may be completely wrong and simply work from there and see where the data takes him. Nassim’s Work will take you on a journey from ancient civilizations to our current day , from the quantum to the multi universal and will explore subject matter most scientist dare not touch out of fear of being called radical or even a quack. I find it very refreshing that finally someone from Academia ,that is an actual physicists is attempting to examine and explain the universe as it truly is, not as they would like it to be or to match some model that has been around for years so it must be right. I think they call that real science , something that we don’t have much of in the mainstream modern scientific community which is primarily funded for by mega corporations and the military industrial complex. Which some would argue are fronts for the elite bloodlines and the hidden social engineers who are likely not human to begin with which is why the world is the way it is , completely out of balance. Its time we wake up and take back our sovereignty and the quickest way to do that is through empowering ourselves with an understanding of the nature of reality , time to get your head out of the sand. 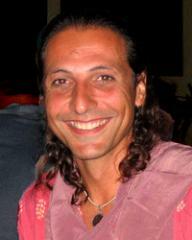 Check out the videos below by Nassim Haramein ! And here is a great place to start , welcome to your first course by Nassim Haramein, Below is a 45 part video that takes you through Nassim’s work , on basically “Everything” ! Here is an excellent video where Nissim Haramein discusses synchronicity , essentially what he says here is the more aware you are of the nature of reality , the better you can navigate through as it begins to work for you on multiple levels. Here is Nassim on Red Ice Radio in early 2011 talking about his latest paper the “Schwarzschild Proton”.